We’d love your help. Let us know what’s wrong with this preview of Más allá de Blade Runner by Mike Davis. 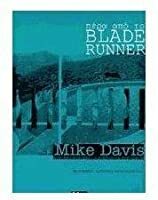 To ask other readers questions about Más allá de Blade Runner, please sign up. Social commentator, urban theorist, historian, and political activist. He is best known for his investigations of power and social class in his native Southern California.